One of the first steps for small businesses to start a website is to subscribe with a web hosting company. Web hosting is a type of service that provides customers with space on a web server. 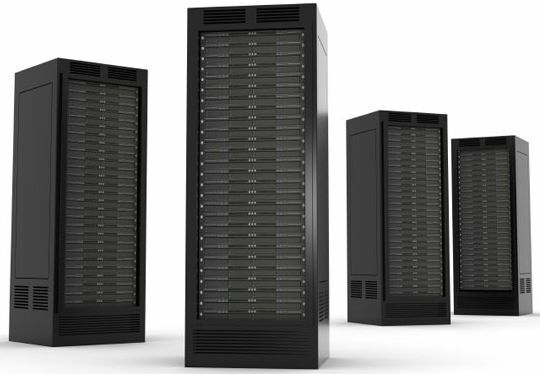 Customers can choose the amount of server space that they want to rent based on different packages offered by the hosting company and their needs. With shared hosting, multiple websites are shared on one server through the use of virtualization. Website owners are more restricted on the amount of traffic that they can receive and do not receive as much software support as dedicated hosting. However, shared hosting is ideal for small businesses. Larger businesses will usually want dedicated hosting, which is more secure and generally provides better email services. The first consideration for a website owner is how much traffic the website will expect to receive. If a website does not have enough bandwidth to support the regular level of traffic, there will be periodic outages. This can negatively impact the user experience. One problem that website owners commonly run into is that of sudden spikes in traffic. Websites that depend on traffic to earn a profit will not be able to take advantage of sudden media exposure unless they have hosting that is scalable. Another factor when considering web hosting is obviously the prices. For this reason, you will want to consider our web hosting Luxembourg services. Not only do we have one of the most affordable web hosting Luxembourg services, but we also provide a free domain name with each hosting package. New customers can purchase web hosting, register for a free domain name and get started. We also provide the friendliest service and support around.